Sometimes a carpet just needs a repair or two, while other times it’s so far gone that it’s just time to replace it and start new. When should you have your carpet repaired versus replaced? Well, there are certain things that can happen to a carpet over time that warrant repairs. For instance, if someone spills a glass of wine on your light-colored carpet and it looks awful, perhaps it’s time for a repair of that ugly stained spot. The same goes for “pet stains.” What about smokers? If a smoker drops ashes on the carpet and there are cigarette burn marks/holes, that’s a reason to have the carpet repaired. Basically, stains and burns in small sections can be repaired by companies like Horizon Carpet of Phoenix, AZ. Meanwhile, if the carpet has developed annoying bumps or folds, whereas it’s no longer flat on the floor, that’s a reason to have it repaired. 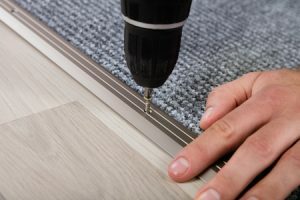 Professional carpet repair companies like Horizon know the proper re-stretching techniques to get rid of bumps and folds. As for replacing a carpet, sometimes the problems are so big that it’s time to start new. For instance, if carpeting is so worn and threadbare that it’s literally coming apart in several areas, it’s time for new carpeting. When carpeting is so stained in so many places, or the color has drastically faded, then it’s time to buy a new one. Meanwhile, if pets have “done a number” on the carpet and it just smells terrible– to the point where visitors are gagging and telling you they can’t stand the smell– then it’s time to replace the carpet. Also, if the room flooded and the carpet never dried out properly, and mold is growing, it’s time to replace the carpet. In Phoenix, Horizon Carpet is the company to call when you have questions about the state of your current carpet. How do you know if you just need a repair or if it’s truly time to replace your carpeting? Have an expert from Horizon come take a look– call 602-404-8064 or use the contact page to schedule an appointment.